Got any good ideas for pumpkins? See what suggestions teachers have and add yours! Teachers discuss the use of the grid method for long multiplication and share innovative ways to digitise maths solutions using tablets and whiteboards. Teachers discuss different approaches to maths teaching – why not share yours? Dan Roberts is Deputy Headteacher at Saltash.netCommunitySchool you can follow him on twitter @chickensaltash or by reading his blog why did the chickenman cross the road? If you would like to take part and use the scheme of work, visit TES Resources to download it and add your feedback. For further development you can download Microsoft Kodu and Windows Live Writer for free. Try Alice K's adaptable Pied Piper Narrative Powerpoint resource on TES as a stimulus for a narrative account or comprehension. It's suitable for supporting pupils with specific learning needs too. Try these poetry booklets with your poetic prodigies and tell us what you think. TES English have collections for literature, drama, assessment and more available from the website. Try a Hamilton Trust lesson plan for an exploration into how people use their senses when deprived of sight or hearing, suitable for year 1 pupils. Ericag's 'five little senses' poems are a huge hit with teachers and have been viewed nearly 50,000 times. Try them out for yourself and tell us what you think. The Isis Education Centre at the LookOut, Hyde Park has been available for schools to book from the beginning of this month For all education enquiries: or call 0207 086 8057. Or visit the LookOut. Teachers discuss their own whiteboard issues and share advice and ideas – why not join these discussions and share yours? A series of course handbooks has been produced by RGT to help students prepare for the exams. Electric guitars aren't the only way to explore rock music – try a scheme of work for a rock and roll dance routine shared by laurencasoria - a big hit with teachers. Or for work on contemporary artists, Caroline Firman has shared a short starter activity based on the music of Jeff Buckley. DIY Classes for 7-11 year olds also take place at 15 B&Q stores. Visit herefor further details. The National Schools Partnership has shared over 100 resources for cross-curricular lessons on citizenship, PSHE, D&T and more. Visit their profile on TES to try more of their resources and leave feedback. Watch a Teachers TV video on DIY decorating for creative and cost-saving ideas to try with your class. Teachers discuss how to teach religious quotes and stories. Jessiejump has shared a resource which can be used to discuss superstitions in the context of belief and faith. Eco-weeks are often held in schools throughout the summer, but they can be held at any time. 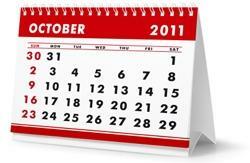 Visit the TES resources calendar for ideas on events you can host at your school. Teachers on TES discuss how to achieve eco school accreditation and share their ideas. Teachers share innovative ideas for sparking interest in historic events with year 7 pupils and way to get them excited about the subject. Andy Holland has shared a wealth of material on TES - visit his profile for some inspiration for your language lessons. The BDA (British Dyslexia Association) has shared a resource designed to help dyslexic students get the most out of learning a foreign language. Michael Gove champions languages in primary – read the forums to see what teachers have to say. On ChilePhilly's 'Moving on in Powerpoint' resource: "Merci beaucoup! Just what I needed!!!! Great and easy to follow." "Awesome. Thank you. This will be excellent for one member of my department who doesn't have IWB." On rhawkes's 'Plenary template'"This is a great time saver! I can use it for lots of activities in any subject. Very clear for my pupils, all of whom have learning difficulties. Thanks for sharing it." Visit the collection and try these resources for yourself.